Since being wooed by James’ sumptuous volley at the Maracana in the 2014 World Cup, Madrid have changed their approach. Luka Modric returns to the Luzhniki Stadium on Tuesday, the scene of Croatia’s World Cup final defeat to France, not only as FIFA’s best men’s player but the star of Real Madrid too. 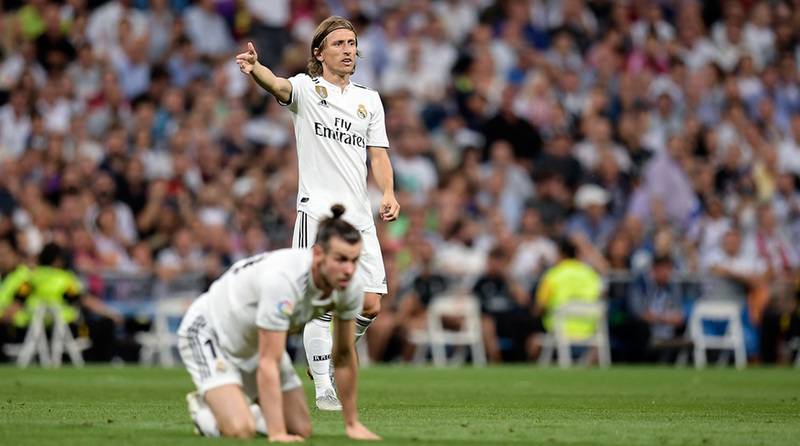 For the first time in his six seasons at Madrid, Modric will line up for a Champions League tie without Cristiano Ronaldo, who was sold, or Gareth Bale, who is injured. There will be no Kaka, Angel di Maria or James Rodriguez either, all of whom Modric has rubbed shoulders with. At 33, he has outlasted them all. Together, that quintet cost Madrid almost €400 million ($464 million), and each considerably more than Modric, whose fee of around £30 million in 2012 would not even have got Richarlison out of Watford last summer. But in this current squad, Modric stands out. In part, because of his brilliance, which has never been in doubt, but also because of Real Madrid too. The Galacticos are, just about, all gone. Bale is the last, and he would have been playing against CSKA Moscow, had it not been for a thigh injury picked up on Saturday. After him, Madrid’s most expensive starters are likely to be Karim Benzema and Toni Kroos — both, like Modric, signed for around €30 million. Meanwhile, elsewhere in Europe, Barcelona will be fielding Philippe Coutinho and Ousmane Dembele against Tottenham. Manchester United will have Paul Pogba, and Paris Saint-Germain Neymar and Kylian Mbappe. All of them surpassed the €100-million mark. As the remnants of the old mode depart — Ronaldo is gone, James unlikely to return — the new, younger and cheaper, batch have risen to the surface. “Madrid is strengthening its search for young players that will become the next great players of the sport,” president Florentino Perez said in July. Alvaro Odriozola, the 22-year-old right back, could make his Champions League debut on Tuesday in the absence of Marcelo and Sergio Ramos. He was signed from Real Sociedad for €35 million in the summer. Dani Ceballos, bought as a 20-year-old for €17 million from Real Betis, came on for Bale against Atletico Madrid last weekend. And Marco Asensio, perhaps the policy’s poster boy, was brought in for a just under €4 million as an 18-year-old from Real Mallorca. All three of them Spanish, not signed for the present, but the future. The list of those nurtured in the Real Madrid youth teams is longer. On the plane to Moscow on Sunday was Dani Carvajal, Nacho, Lucas Vazquez, Mariano Diaz, Marcos Llorente, Kiko Casilla and Sergio Reguilon, all academy graduates. World Cup winner Raphael Varane came from Lens for €10 million as a teenager and it is believed Vinicius, signed for €40 million from Flamengo in July, can be the next big talent from Brazil. There is a temptation to recall the days of Zinedine Zidane, Figo, David Beckham, Brazil’s Ronaldo and Kaka, and feel underwhelmed. Madrid have become synonymous with superstar names and this was a World Cup year too. But the shift has been deliberate. The swelling market has played a part, with the club no longer the dominant power-player among Europe’s elite, as have plans to upgrade the Santiago Bernabeu, for which a loan of €575 million will be taken out. “The only way to remain independent is to be financially healthy,” Perez said at the club’s annual general meeting earlier this month. “That is the base of our sporting success.” Zidane was an advocate too. His method centred on improving those players he had by blocking out the noise from outside. That translated into faith in humility and hard work, not more big-money signings. “There is often talk of transfers, but I am not that type of coach,” he said in January. Modric, Ramos, Benzema and Bale — all approaching or past 30 — will soon need replacing and few would bet against Perez joining the chase when Mbappe, Neymar or Pogba become available. But for now, this is a different Real Madrid. Modric can enjoy the limelight.